APPat Roberts was triumphant in this primary victory speech, but he might be now facing an even more daunting challenge. 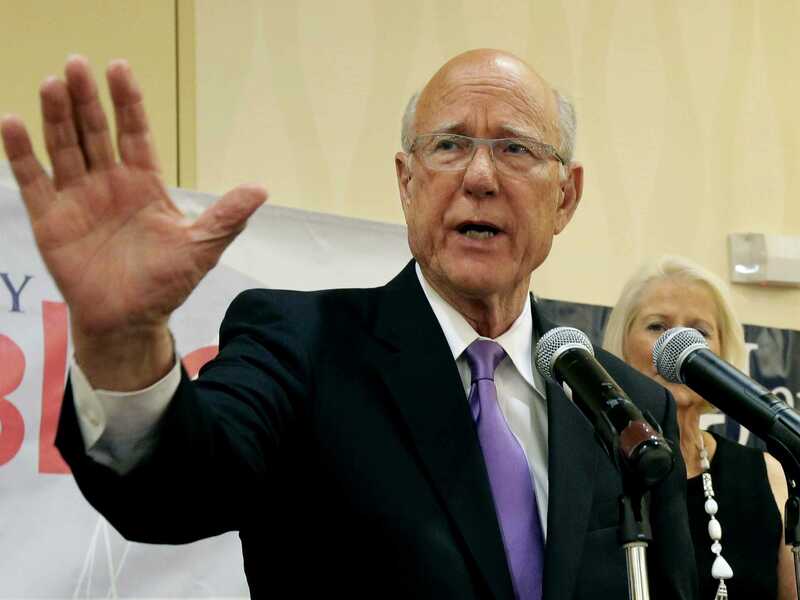 Republican Sen. Pat Roberts has staved off a challenge from independent candidate Greg Orman in Kansas, Fox News, CBS, and other outlets projected late Tuesday night. Roberts’ expected win means Republicans will hold onto one of their most important contested seats of the midterm elections. Republican incumbents also beat Democratic challengers in Kentucky and Georgia, according to projections. Roberts looked to be in deep trouble two months ago before shaking up his campaign staff and mounting a comeback. He significantly closed the gap with Orman over the past two months, turning what was once a double-digit deficit into a statistical tie. Some of the Republican Party’s heaviest hitters — Mitt Romney, Paul Ryan, Rand Paul, Ted Cruz, and Kansas’ own Bob Dole — traversed the state to campaign on Roberts’ behalf. Still, Roberts was unable to pull ahead over the past few weeks, and the final four public polls of the race separated the candidates by no more than two points. Orman, an independent, was something of a wild card. Most strategists believe he would choose to caucus with Democrats, since he briefly ran for Kansas’ Senate seat in 2008 as a Democrat. The revamped Roberts campaign heavily targeted his business record over the past two months, bringing down his image among Kansas voters. For more on the status of Senate control, check out our post here. This post will be updated continuously throughout the night.